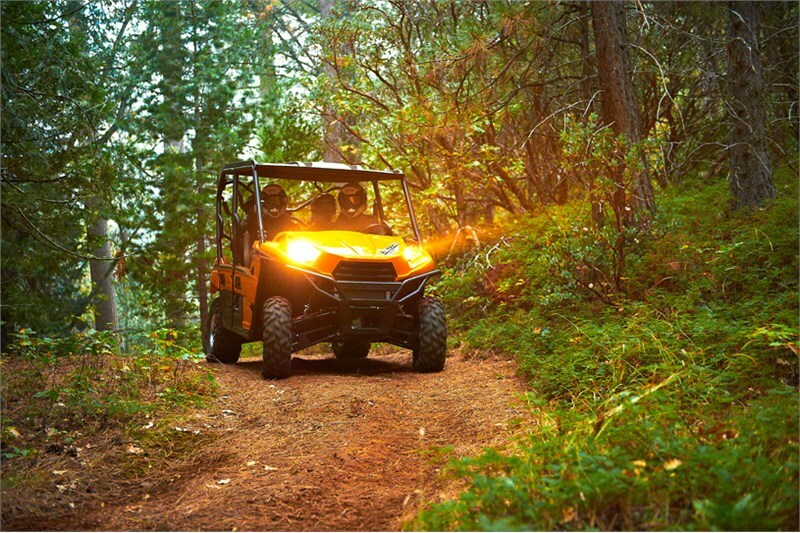 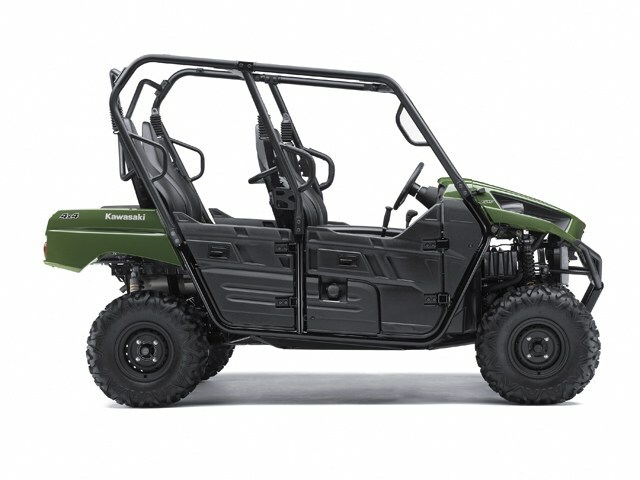 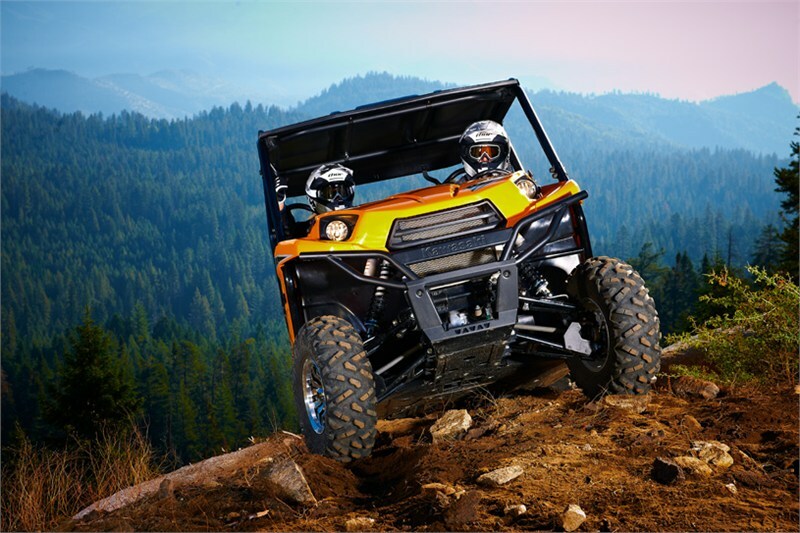 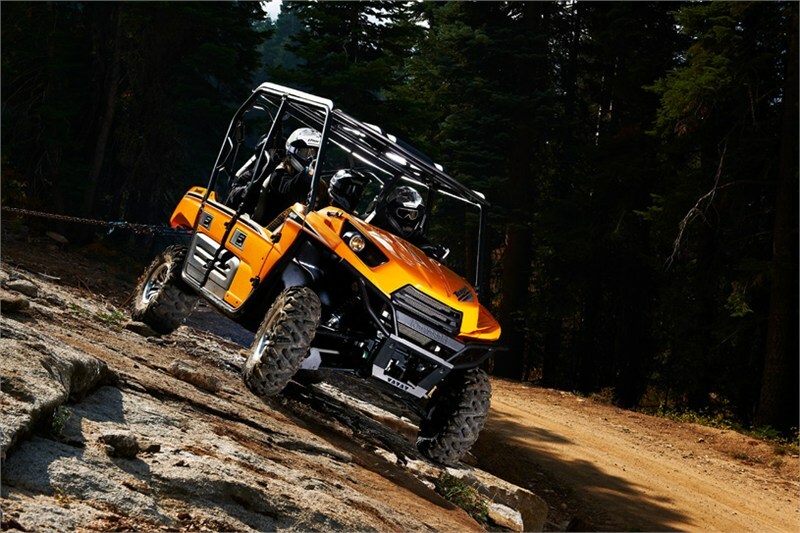 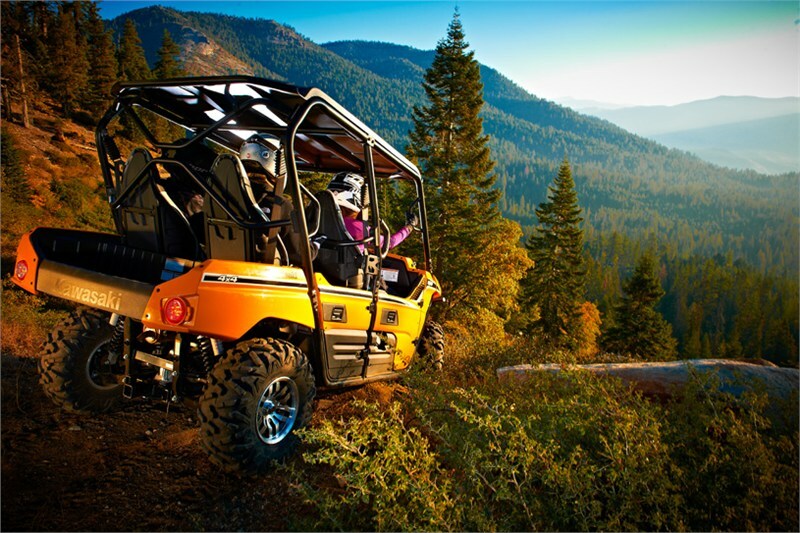 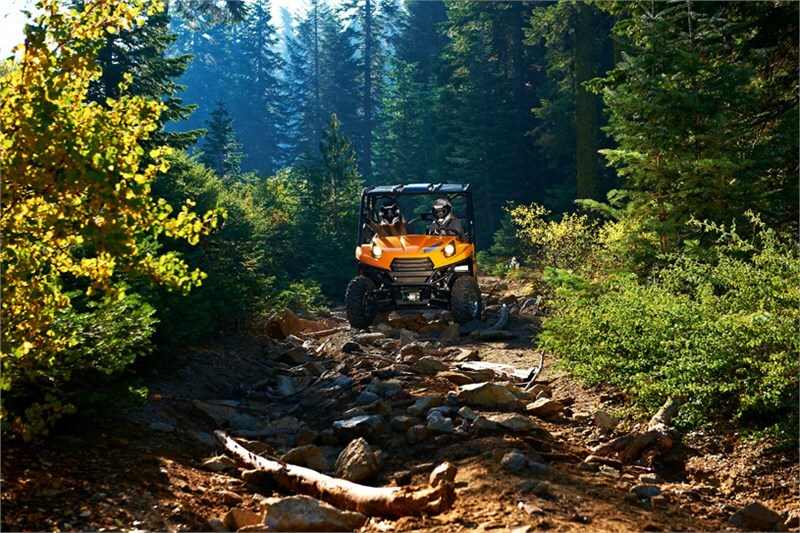 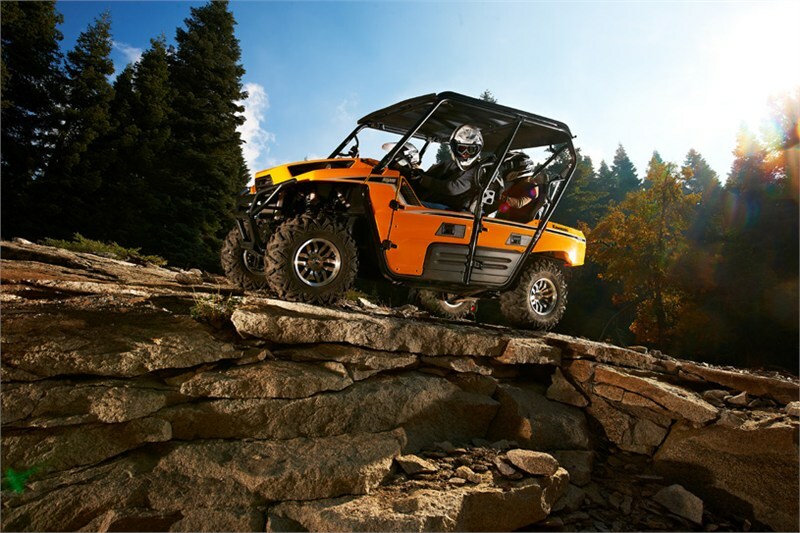 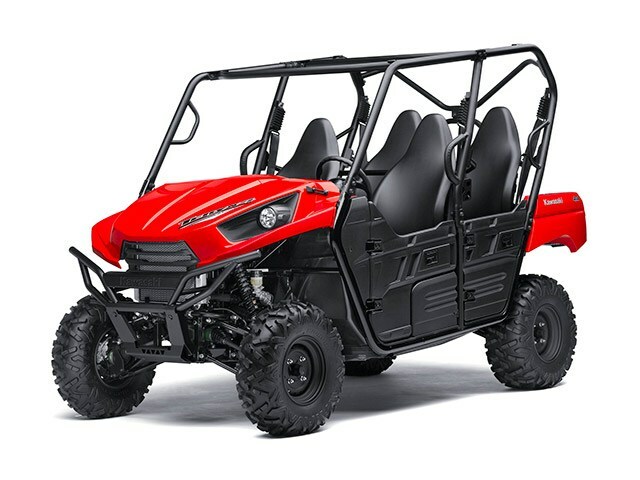 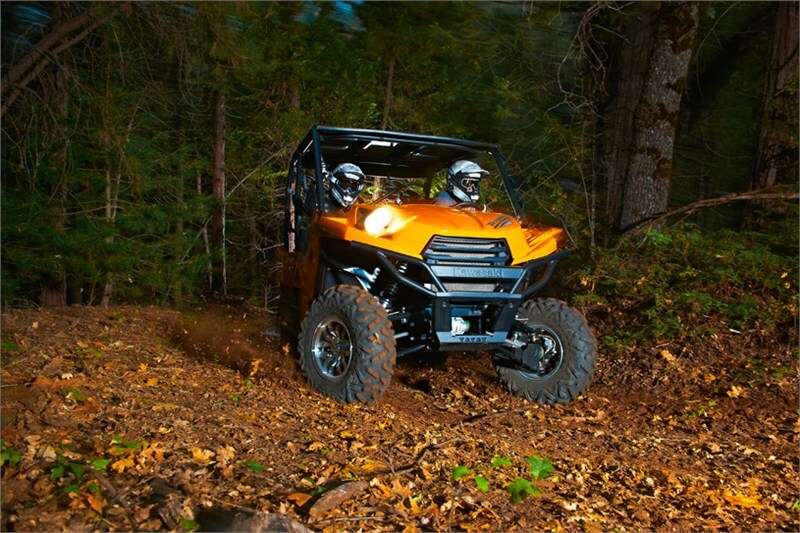 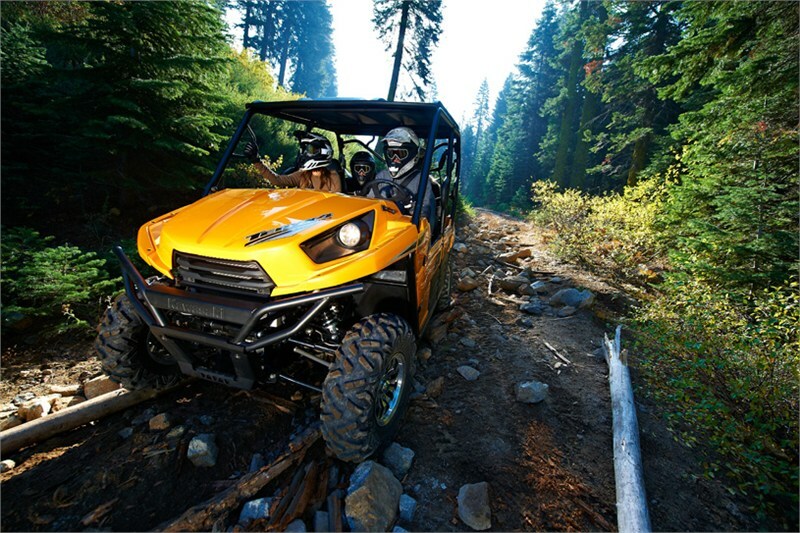 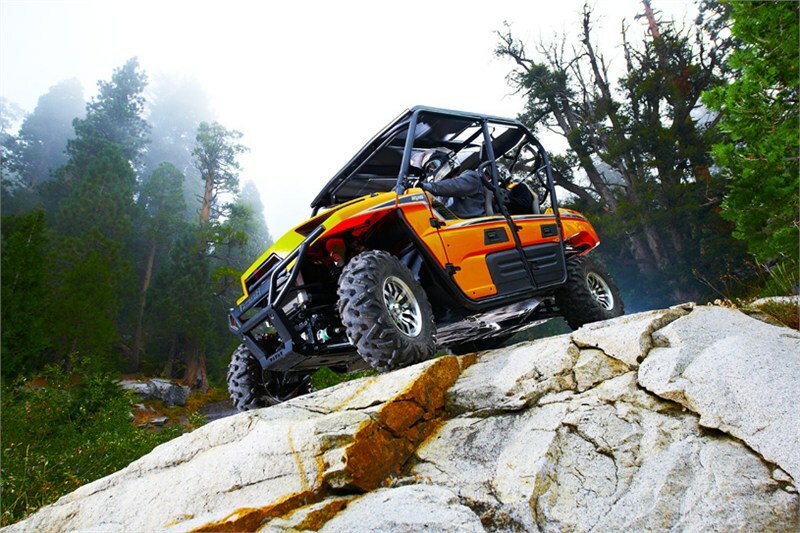 Engineered to provide a lifetime of fun for its passengers, the four-seat Teryx4™ 750 4x4 EPS side x side delivers the strength and quality to keep you and your passengers smiling all the way to your destination. 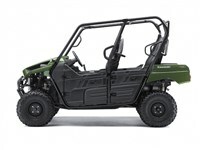 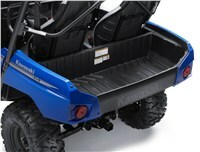 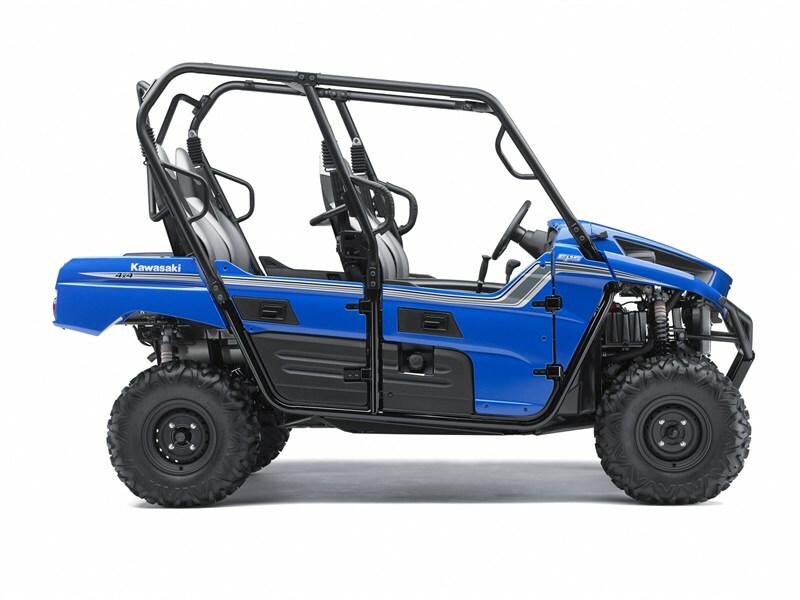 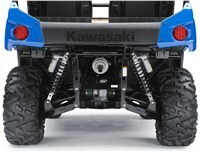 The blue version of this tough off-road explorer includes premium body colored doors, stylish two-tone seats and all come standard with an advanced Electric Power Steering (EPS) system that provides light, low-effort steering, making the Teryx4 750 4x4 EPS exceptionally comfortable and easy to drive. 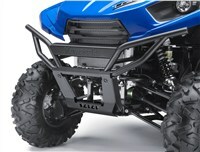 Dual A-arm with fully adjustable, gas charged, reservoir shocks / 7.8 in. 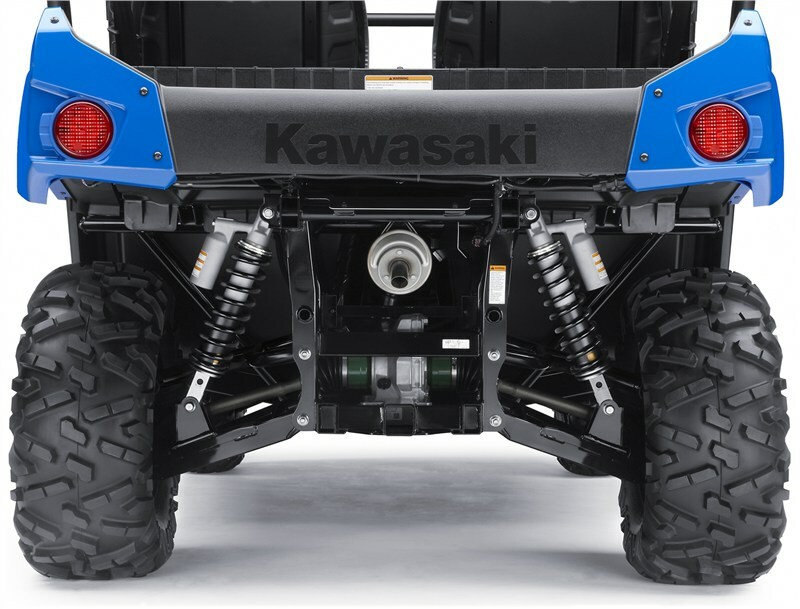 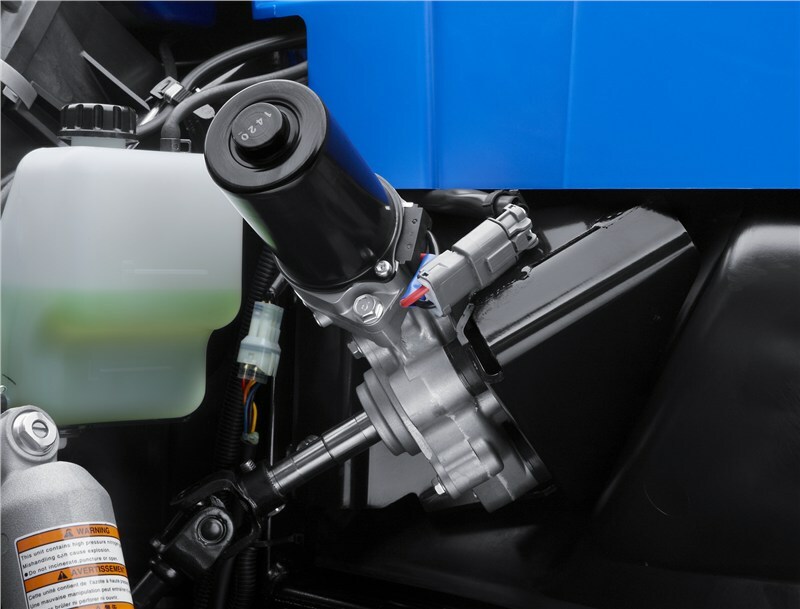 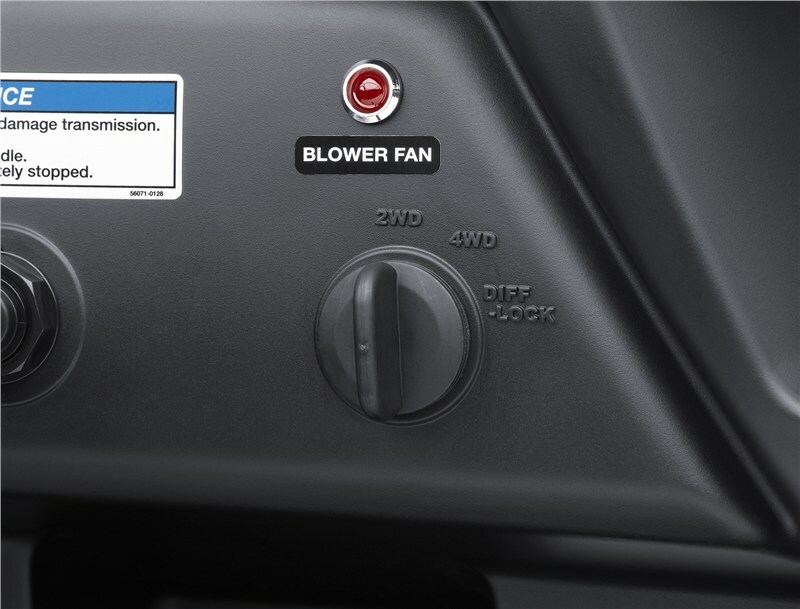 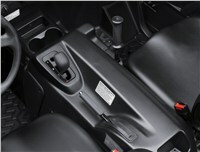 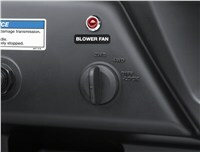 Adjustable Independent Rear Suspension (IRS) with fully adjustable, gas charged, reservoir shocks / 8.3 in.